Ubisoft is returning to the roots of Far Cry with this third outing, although they’re adding an element of insanity to the mix. Far beyond the limits of civilization lies an island, a lawless place ruled by violence and human suffering, where your only escape is through drugs or the muzzle of a gun. Stranded on this tropical paradise with a bloody underside, players will find all of their first-person shooter skills tested to the limit. Last E3, the developer focused on the game’s beginning with protagonist Jason and the insane Vaas. After trying to kill Jason, both men survive the ordeal and Jason’s nightmare begins. 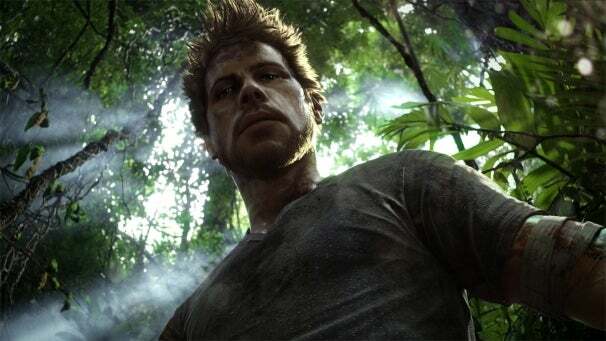 Dan Hay, producer on Far Cry 3, talks about what’s new at E3 in this exclusive interview. Game On: What are you showcasing at E3 this year? Dan Hay: We’re meeting a transformed Jason. He’s been on the island for roughly two months. We’re meeting him two-thirds of the way through the game, and he’s met Vaas’ sister, Citra, who’s in charge of this group of warriors, this tribe. Jason has begun to learn this warrior’s path and sees what Vaas went through. If you actually look at Vaas and Jason, they have very similar tattoos. You’re watching as Jason begins to transform from the victim, who we saw last year at E3, into the warrior that we’re seeing this time. Citra slowly entices him and says, “Go kill my brother.” He says, “Yes,” and off he goes. When it comes to this franchise, can you talk a little about the aspect of returning to that tropical landscape after the Africa? think for us, the island is a really good pick. When we think about Citra, she embodies the island. She’s beautiful, exotic, and completely deadly. She’s well-versed in the warrior way. For us, when we started talking about the people that would live in this space, it just made sense that it was the island.It made sense that it would be a place that you would get on a boat or plane, land there, and have a vacation experience. You would have an experience where you’re trying to live a little bit of a life. You open the wrong door and see the wrong thing. You meet somebody who grew up in that, like Vaas, and your life gets turned upside down. What were your goals heading into this game from a gameplay perspective? It’s a big game when you think about the size of the island. Our goals were to offer a single-player experience where you would land on the island and live a lifetime in two months. We’re bringing back the generative fire. We’re bringing back some of the weapons from Far Cry 2. We also want you to feel this pull of a tribe. We want you to have the feeling, the enticement of nature in the wilderness and this feeling of insanity. Insanity bridges through everything we do. How much depth have you added to the overall experience? What’s interesting about single-player is you watch Jason. He’s a normal person who shows up on the island, and has a completely insane experience. Then you play co-op, and it’s a different type of that experience. You have four people who are already crazy; they show up on a separate island, and have a completely different experience. Then you have PVP. What makes it crazy? You are trapped in the middle of a blood feud between brother and sister. You have to pick a side and effectively work against what you may have been working with the entire game. Then you get to the fourth section, which is the in-game editor, where we want you to be Voss. We want you to be Citra. We want you to build your own island and contribute to the larger picture. Can you talk a little bit about that in-game editor and then how open that is? For us, it was making sure that the players had a social aspect to be able to contribute to the game. We want to be able to show people that they can build their maps, they can build their world, they can build their own island if they want, and they can be Voss. More importantly, what we learned from Far Cry 2 was that it’s easy to find those maps, that we’re rating those maps, and that we’re making sure that the community is fit. When you’ve played the PVP offering and the different things that we’re putting together, there’s an entire reservoir of stuff that’s been built out there by Far Cry fans that you can feed back into the game and that people can play. How do you feel this game pushes the franchise forward? Our focus on this game has been about storytelling. It’s been about making sure that we take all the things that really worked for Far Cry 2, take a few of the things that maybe we needed to tweak, and tweak them; fast travel, degradable weapons, and making sure the player is back into the action really quickly. And when they take over a space, they take it over; it’s theirs. It’s focusing on emotion, focusing on the story, focusing on making sure that a player who gets into the space has a credible experience; they feel alone in the woods. They meet insane people that could actually exist. What role has technology played in advancing what you’ve been able to do dating back to the last game? In terms of technology and just something that’s fresh, we’re bringing co-op. It’s an entirely differently island and experience where you play the single-player campaign for 20 hours; you’ve ascended and made choices. I can’t tell you too much about that, but you’ve made choices about the pull of the island. You’ve made choices about the pull of your friends. Then you decide you want to sit on the couch, just be a little crazy, and kill stuff for six hours. Join us in co-op.